Tax. As both an attorney and a CPA who has worked in the Atlanta, Georgia area for more than 30 years, Allen Buckley provides various tax services, including consulting (planning), controversy, collections and compliance work. Planning involves trying to make decisions that work from an overall perspective. Often, the timing of doing something can have a significant financial (possibly tax) impact. Mr. Buckley helps clients minimize taxes while attempting to achieve their broad objectives. Often, entitlement considerations also need to be taken into account. Mr. Buckley often advises people regarding IRAs and potential prohibited transactions. Sometimes, advice is provided with respect to unrelated business taxable income (UBTI). Two articles that Mr. Buckley wrote a few years ago, dealing with Roth IRAs, are provided in the following two links. Roth BNA Roth Conversion Article Roth BNA March 19 Roth Article Under the right circumstances, a cash balance plan can be of tremendous help in reducing tax liability. S corporation ESOPs remain the best tax minimization device. However, an ESOP should be utilized only where the facts show an ESOP is a prudent fit. Every situation is unique. Controversy work involves helping with IRS audit matters and, sometimes, filing a petition in the U.S. Tax Court if the matter is not resolved at the audit level. Generally speaking, filing a Tax Court petition does not take a lot of time and, thus, charges for the service ordinarily are not significant. In most cases, U.S. Tax Court is the preferred venue for bringing a tax case. The vast majority of cases are settled. Mr. Buckley works with the Appeals division of the Treasury Department to resolve cases. Collections work involves determining the best course of action for the taxpayer’s situation. Sometimes, filing an offer-in-compromise is the best solution. Other times, an installment agreement is the best solution. Depending on the facts, the IRS may agree to installment payments of a portion of the debt. In some cases, bankruptcy is the best option. If bankruptcy is to be considered, the aid of a bankruptcy attorney is sought. Mr. Buckley can analyze the situation, make a recommendation and then implement the path chosen by the client. Most of the time, the numbers dictate the right course of action. Mr. Buckley previously worked for Touche Ross, a “Big Eight” accounting firm (now part of Deloitte). While working at Touche Ross and thereafter, he prepared many tax returns. Now, Mr. Buckley performs limited tax compliance services, as he prepares relatively few tax returns and those that he does prepare generally are complex. Sometimes, referrals to CPAs are made with respect to return (compliance) matters. Mr. Buckley has successfully represented clients in “responsible person” tax withholding matters. The degree to which a defense can succeed in these type of matters if very dependent on the facts. Hands-on majority owners generally have a weak case. Mr. Buckley files tax whistle blower claims with the IRS. Historically, the IRS has been unreceptive to claims other than big money, big name low hanging fruit claims. In 2013, the IRS has said it is changing its ways. Estate Planning. Mr. Buckley analyzes clients’ long-term desires and crafts estate plans to fulfill the desires. Usually, wills are used to transfer assets at death. Other documents often used include a financial power of attorney and a Georgia Advanced Directive for Health Care. (Many lawyers use revocable trust, thus necessitating a revocable trust and a pour-over will. 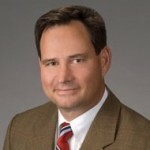 Mr. Buckley generally believes wills work best for Georgia clients owning Georgia-based assets. However, every situation is different, and a revocable trust and/or other instruments might make sense under certain facts, such as when few assets exist.) Mr. Buckley regularly studies Medicaid laws and rules, including laws and rules relating to nursing home care, as people often can qualify for such care on a government-subsidized basis. Thus, the planning often is lifetime planning. Often, referrals are made to elder care lawyers to deal with pressing nursing home needs.